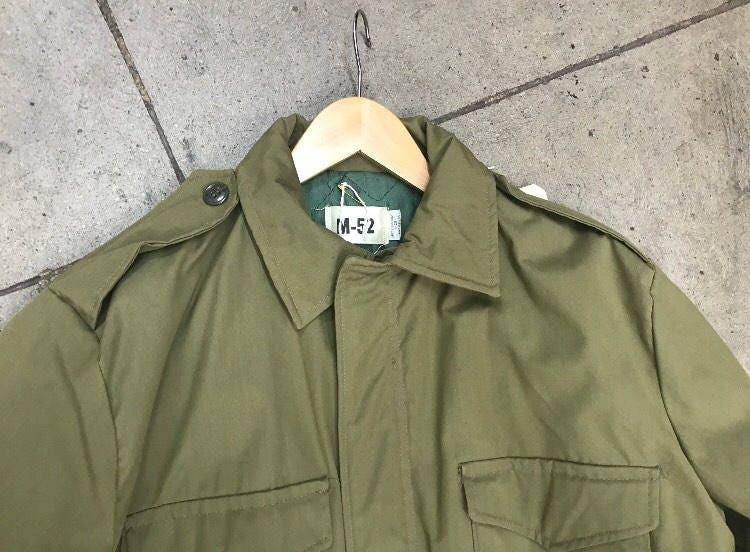 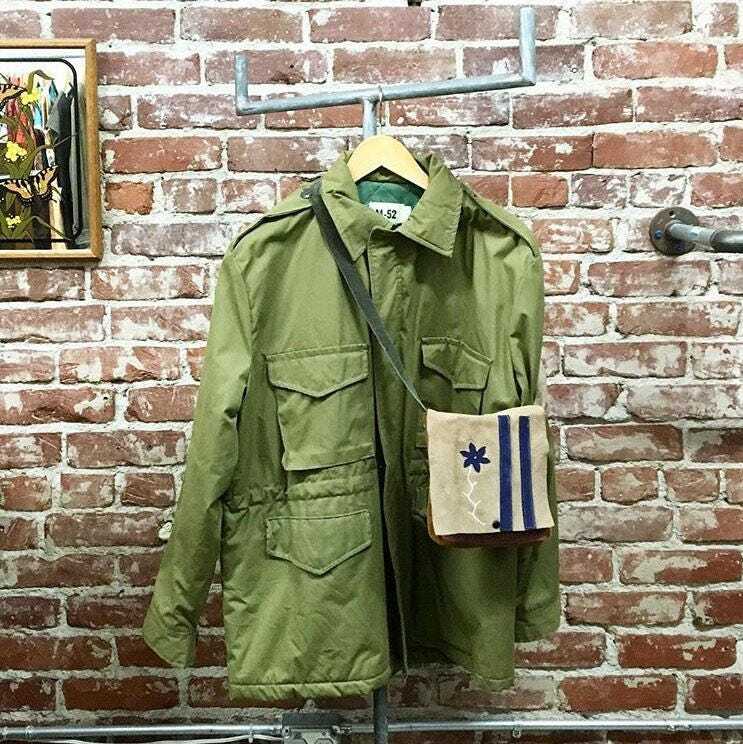 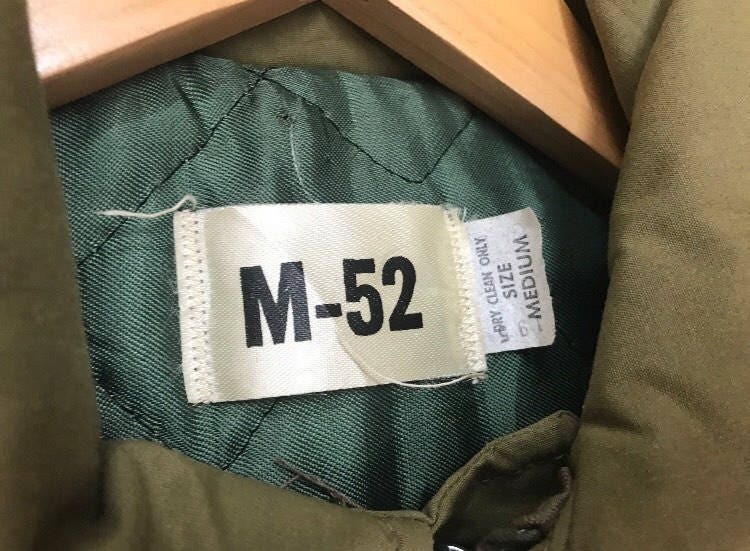 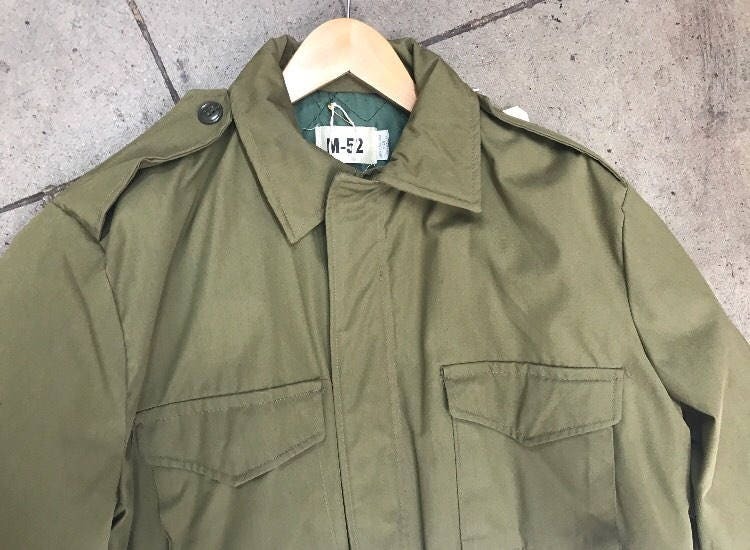 Beautiful men’s Vietnam Era Canvas Coat. 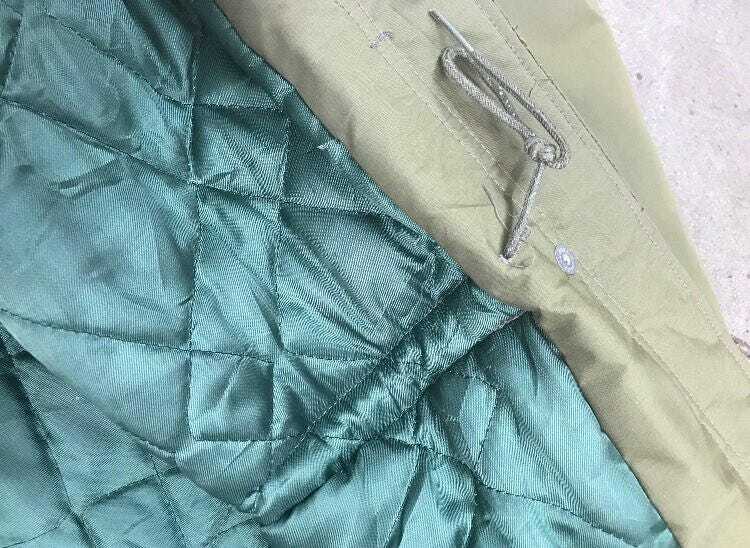 There is slight lime undertone, hue to the green canvas! 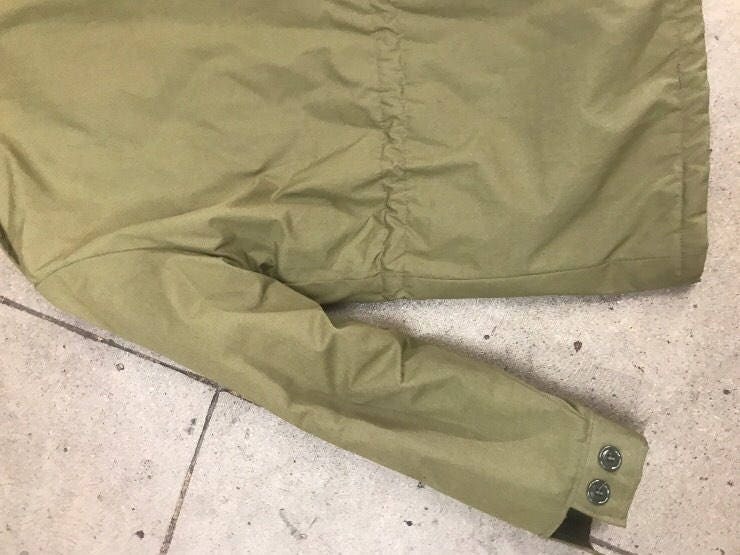 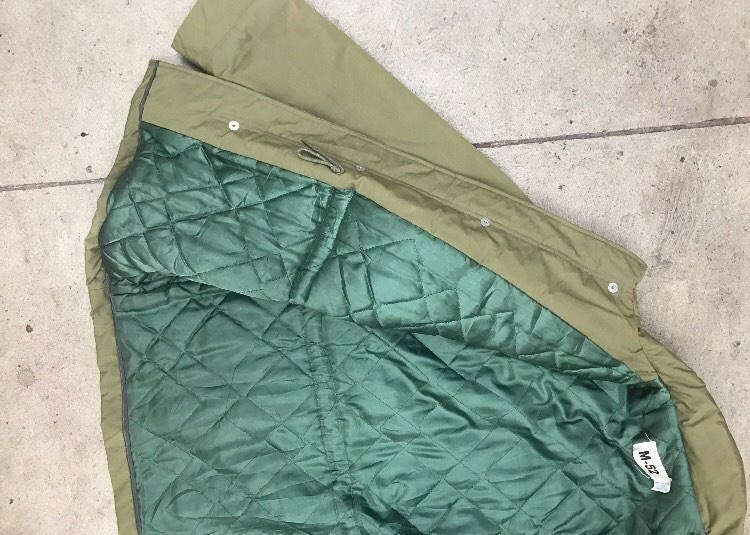 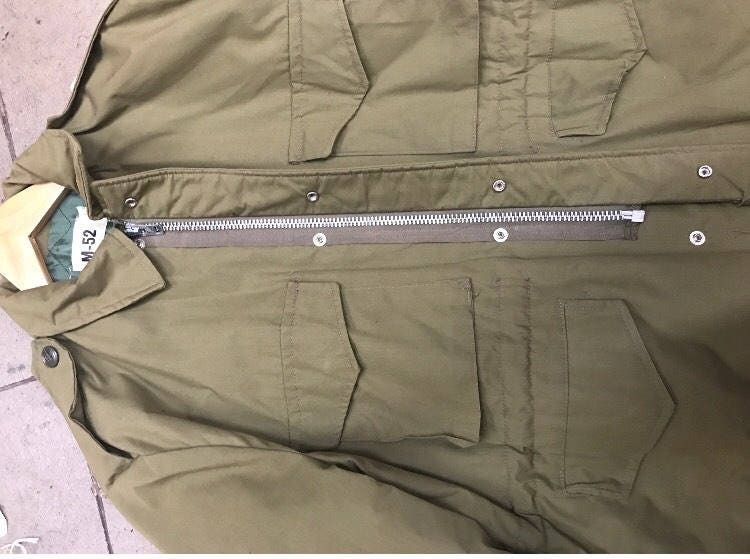 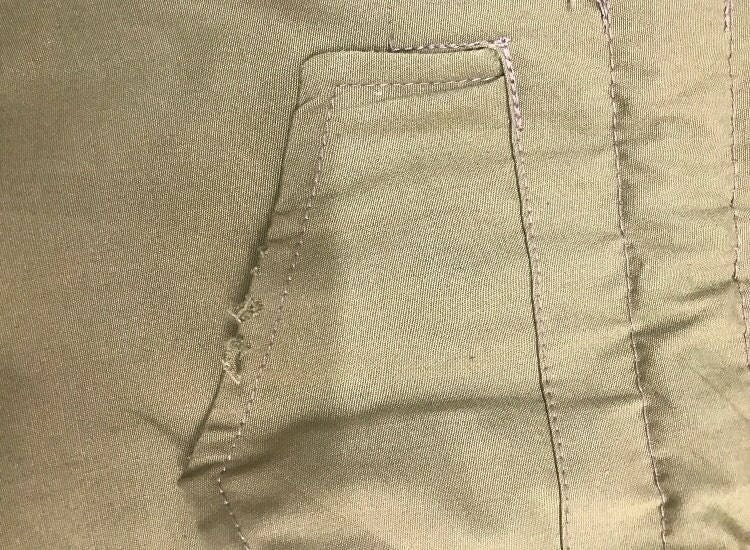 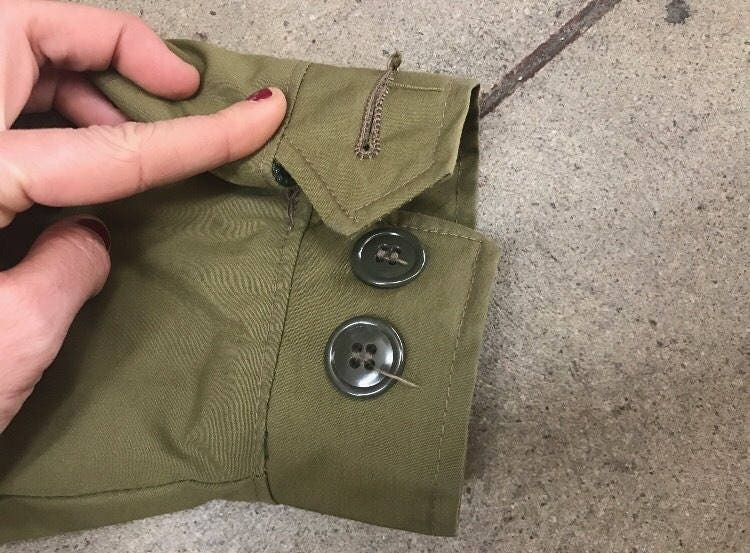 The only flaw in this coat is very faint wear on flap of the left bottom pocket as shown in last photo.